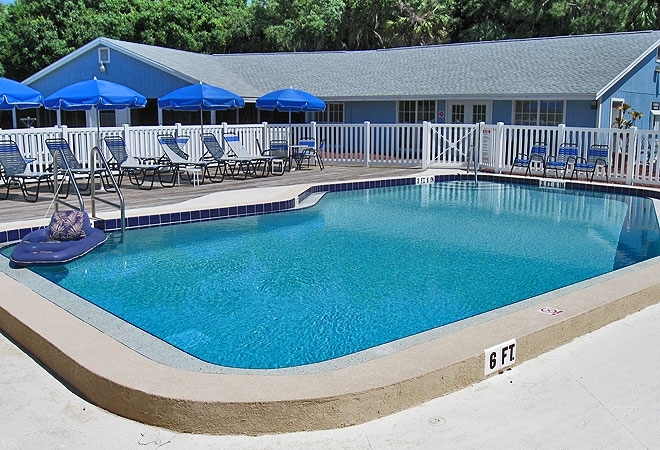 Terra Ceia Village RV Resort is located just north of Bradenton on the west coast of Florida between Tampa and Sarasota. On top of offering fantastic activities and amenities, our unbeatable location makes accessing local attractions a breeze. We're just a short distance from Walt Disney World, Epcot Center, Sea World and Busch Gardens. Additionally, the beautiful beaches of Anna Maria Island and Long Boat Key are just minutes away. For your dining pleasure, the Bradenton area is home to hundreds of restaurants. Back at the resort, guests enjoy planned activities including bingo, potlucks, crafts, exercise groups, card games, shuffleboard, golf leagues and other planned outings. The beautiful Gulf Coast weather combined with our amenities make Terra Ceia Village RV Resort the obvious choice for your Bradenton, Florida RV resort destination.